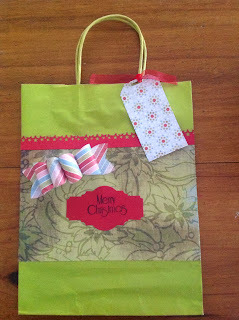 This is a store bought green paper bag. 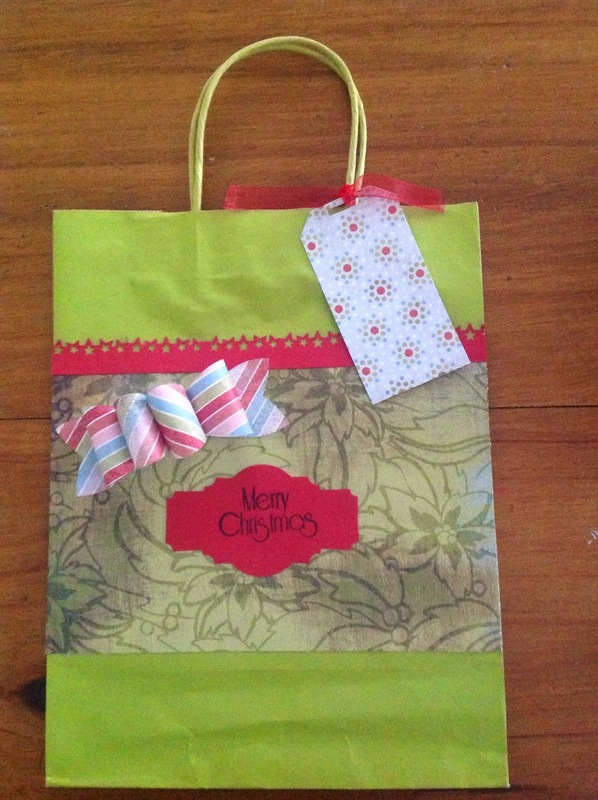 I have decorated it with patterned paper and ribbon. I made the bow from paper. The label is cut using the Cuttlebug and the tag is an old Basic Grey tag. I love the new Kaisercraft Christmas stamps I have used on this label.